Speeded up stuff is inherently weird. 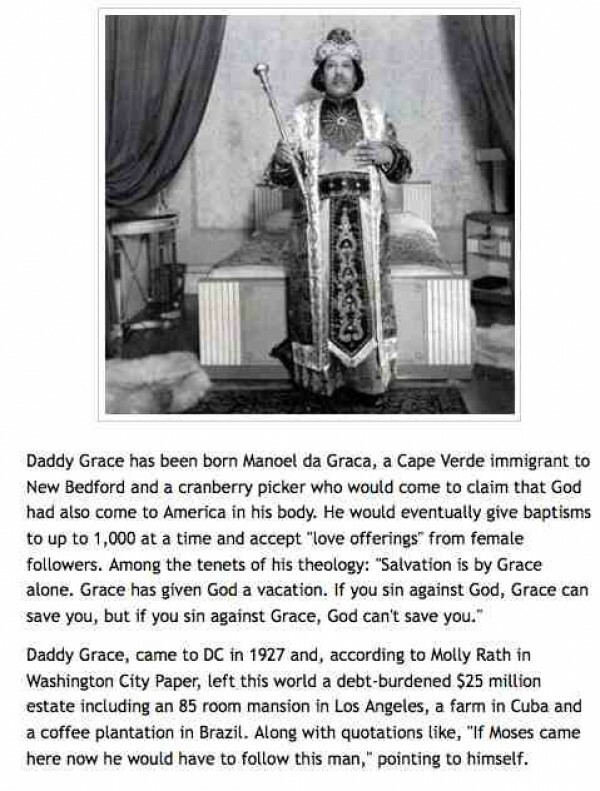 Conducted under the auspices of the famous and fabulous United House of Prayer for All People, whose founder was "Sweet Daddy Grace," as depicted below. I heartily endorse any institution whose leaders inherit the title of "Sweet Daddy."